A true split between first half hack storytelling and second half reverence and engrossing manly deeds. 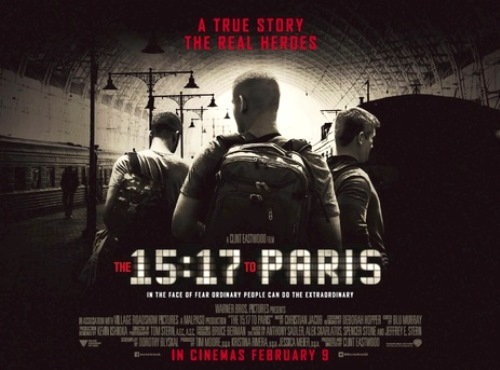 For Clint Eastwood, he makes one flawed film like The 15:17 to Paris and his detractors light a critical bonfire to disgrace him. One of the comments I least liked that I read was that Eastwood hasn’t made one tightly scripted, disciplined film since “Unforgiven.” The dude in recent years has made “Gran Torino,” “Invictus,” “American Sniper” and, in my opinion, the second best film he ever made with “Sully.” The man is an American treasure who courts themes of honor and heroism and tells them with respect and intelligence. The script that he works with here however, by Dorothy Blyskal (her first produced screenplay), is misguided. Three buddies are shown growing up in Sacramento where they stir trouble, and draw upon the ire of the school they go to. Two of the kids are raised by single moms (Judy Greer and Jenna Fischer) who face sexist putdowns by the principal that these boys would be better off being raised by their fathers. Isn’t all of this overwrought? The kids aren’t that bad to me, they’re just regular boys. I believe (maybe) what Eastwood was trying to say is that despite being labeled as unproductive boys they found their way to manhood against the expectations that had been laid out for them. But how did they find their manhood, by circumstance? Or is he saying that military training shaped them? The film is complicated in what it’s saying there, since one of them fails certain aspects of training and strains to seek acceptance. There is so much early material here that isn’t good. Muddled themes. Some rare mistakes by Eastwood. Somehow, the film picks up an entirely different vibe, around the 47 minute mark the film dropped the artificiality and from there I began to get hooked. The three American buddies, two of them with military experience, find themselves on a European holiday. 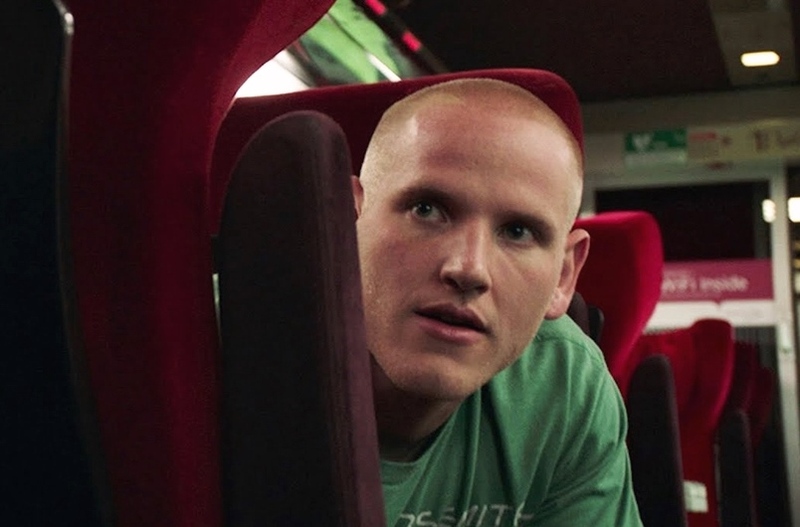 They would become real life heroes while abroad, and Eastwood has cast the real heroes to play themselves: Spencer Stone, Anthony Sadler and Alek Skarlatos. Before their heroic act, where they stopped a terrorist with an automatic rifle on a train to Paris, I think that it’s important that they were dudes having a fun time, meeting the locals, being courteous tourists, getting drunk on nights out but being classy about it – and the film is just generally saying that deep integrity was inchoate with these guys, and that probably added to their instincts to be great heroes in a moment’s notice – before they took out a terrorist after his initial gunshots (one man was critically wounded). The editing is so disjointed in the first half, where bits and pieces of the attack flash by us in an annoying “foreshadowing” method. But once it gets to showing us the whole sequence, it gets us gasping at the horrifying reality of it as well, and in aftermath, admiring these boys for what they did. It feels like a real Eastwood film by this last section. Now does Eastwood favor one of these dudes over another? Yes, well Spencer did the most with apprehending the madman on a train, and despite some raw around the edges dialogue delivery, he has the most charisma. It’s inevitable, our attention is drawn to him the most throughout. Film Cousins: “United 93” (2006); “Captain Phillips” (2013); “Sully” (2016); “Patriots Day” (2016).